The J.W. Rutledge Distillery, pictured, is the brainchild of four partners who have more than 150 years of combined experience in the bourbon industry. They want to bring a contemporary bourbon distillery to a large site outside of Louisville. Former Four Roses Master Distiller Jim Rutledge and partners Jon Mowry, Will Conniff and Stephen Camisa disclosed preliminary renderings of the proposed J.W. Rutledge Distillery this week. LOUISVILLE (LBF) -- Four business partners with 160 years of combined experience in the bourbon industry are close to securing land and the first round of funding to build a 69,000-square-foot distillery near Louisville. 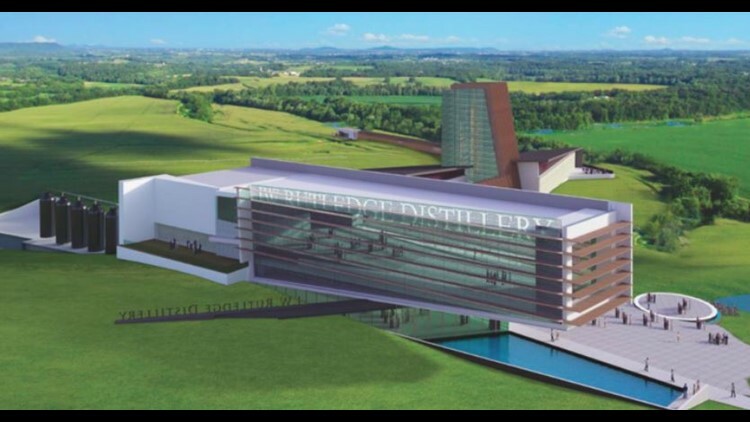 Former Four Roses Master Distiller Jim Rutledge and partners Jon Mowry, Will Conniff and Stephen Camisa disclosed preliminary renderings of the proposed J.W. Rutledge Distillery this week. The goal is to secure about 140 acres of rural land outside the city for the project. Rutledge said Tuesday afternoon that the ownership group has not chosen a site but is honing in on property in Oldham County. He said the contemporary design will stand out from the typical bourbon distillery and could include design influence from California wineries. For more on this from Louisville Business First, click here.